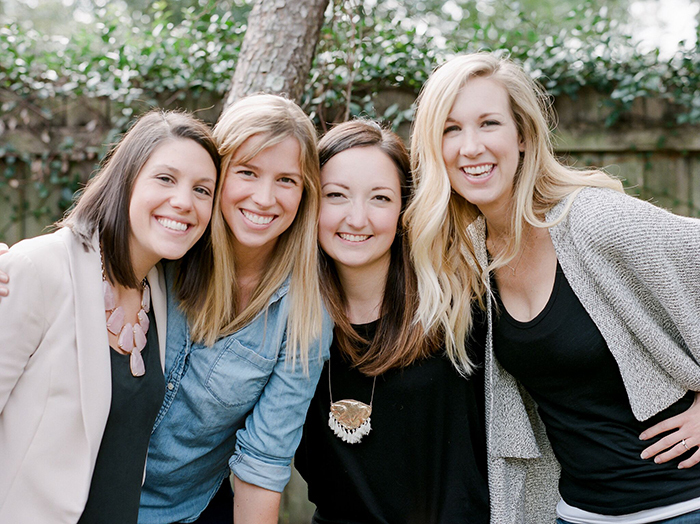 Torrance Hart is the founder of Teak & Twine. You can follow Teak & Twine on Instagram at @teakandtwine. A little over two years ago, I started noticing that a lot of businesses had these amazing brands, with websites and collateral that was thoughtful and original. … But their options for gifts were either a generic cellophane-wrapped basket, or the same old branded swag. 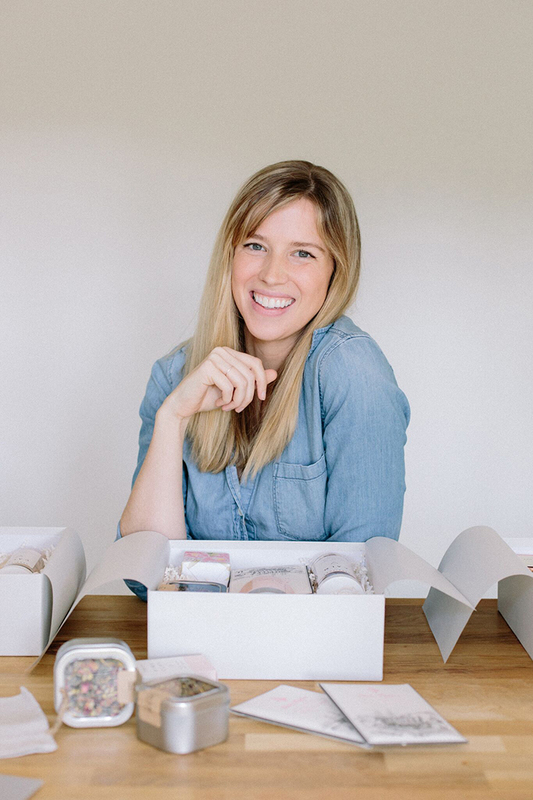 Brides and design-loving women wanted gifts for their friends and family that were as easy to purchase as a click on their beloved Amazon Prime, but as personalized as if they had spent hours searching for something that was juuuust right. As a long-time admirer of products with great packaging, and as a wannabe entrepreneur with a creative streak, I knew that there was room to create a gift that was more beautiful, fun, cohesive, and unique! After serving for eight years in the Air Force as an Intelligence officer, I decided it was time to start day-doing my day-dreaming! I’m happy to report that, yes, making gifts for a living with my incredible team is just as fun as it looks! 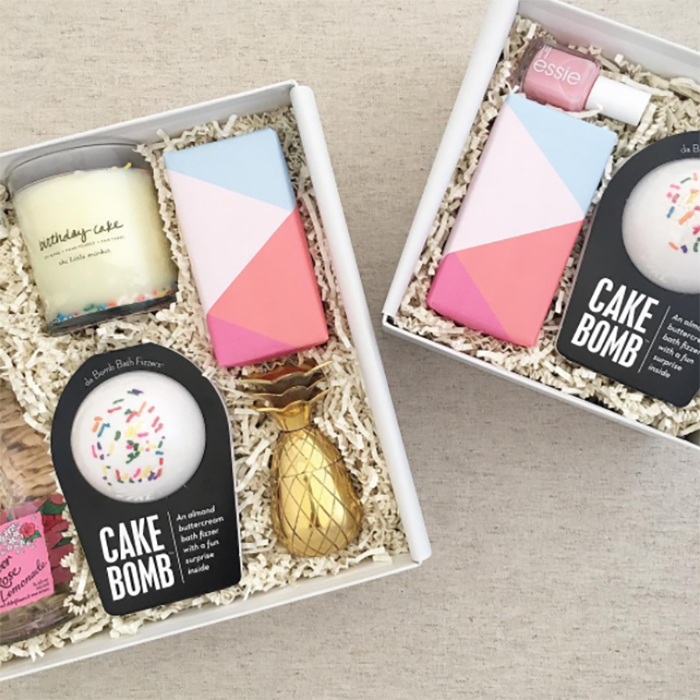 We’re so grateful that you include our candles in your gift boxes. What do you love the most about our products? How did you learn about us? I had been on an epic hunt for a candle with simple, beautiful packaging and fun scents to include in our gifts. When I found The Little Market on Instagram, I knew you all were perfect! It has been even more rewarding to get to work with such an amazing team at TLM, and to support Prosperity Candle and their mission to provide a fair wage and skills to refugees. I love seeing the photos and signatures of the women who have made each candle by hand. 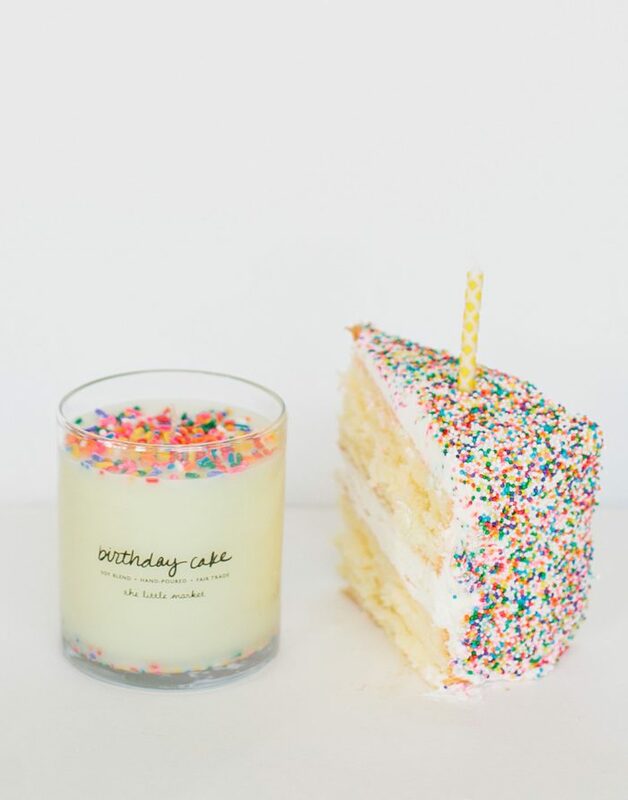 Plus, our entire team is completely in love with your Birthday candle — it always makes me hungry! So many to choose from! My favorite business book is Enchantment by Guy Kawasaki — I page through it every year and always find something new! My favorite nonfiction read is The Power of One — so glad I had to read that one in high school! I’m also a huge podcast fan — it’s become my new radio. Some of my favorite business podcasts are: The Online Marketing Made Easy podcast by Amy Porterfield, The Goal Digger Podcast by Jenna Kutcher, and the Entreleadership podcast. I also love Young House Love’s podcast, Reply All, and Pod Save America. I currently have Bruno Mars’ “That’s What I Like” on repeat! You can’t help but smile when it’s playing! Scandinavia! I was in design heaven while I was there! Everything from the shops, to the homes and products was beautiful — I couldn’t stop taking pictures of everything down to the street signs! From books and from my team. I can always count on a good book to get me out of a creative rut and have my mind buzzing and my to-do list a mile long! When it comes to designing our gifts, the best ideas have come when the entire team is brainstorming together. What words of wisdom could you provide to those who are aspiring entrepreneurs? Instead of being wedded to a product that you want to sell and then looking for customers for your product — flip the script! Figure out who your dream audience is first and then identify what they need that you can provide. Taking this perspective makes identifying a product and telling your story so much more streamlined because you already know who you’re talking to and can feel confident that you’re filling a real gap in the market! When you get to the top of the mountain, make sure you take a moment to turn around and throw down a ladder! These days, I’m all about quality over quantity. My husband and I have some minimalist tendencies, and so we’re both willing to wait (and save!) to buy something that is high quality and has a story behind it. Some of our favorite things are treasures we found on trips together — like a handmade wool blanket we bought in Iceland together on our honeymoon — where the item brings back great memories every time we use it! My family has been training puppies for the Guide Dog Foundation and America’s Vet Dogs for 15 years — it’s such a great organization that provides service dogs for people with disabilities or service-related injuries. It’s so rewarding to be able to continue giving back to this great cause — a portion of all of our proceeds goes to America’s Vet Dogs! I love the Holstee Manifesto, which starts with the lines: “This is your life. Do what you love, and do it often. If you don’t like something, change it. If you don’t like your job, quit. If you don’t have enough time, stop watching TV.” So much truth!